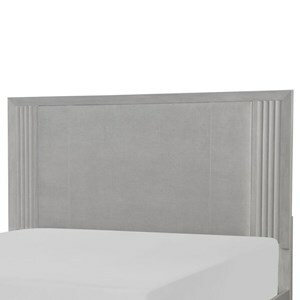 A soft gray finish and scalloped detailing combine to give this headboard a warm and inviting look, which is further exemplified by the softness of the upholstery. This beautiful platform bed with two storage drawers is the perfect piece to complete your bedroom décor. 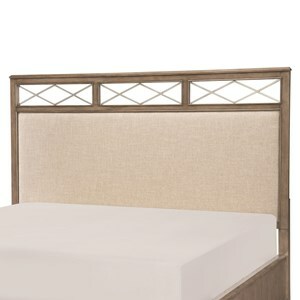 The contemporary style is seen in the sleek simple lines of the headboard all the way to the footboard. Two storage drawers offer stylish, yet, functional storage for your extra bedding essentials. 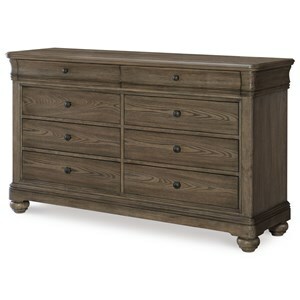 Constructed of poplar solids and rustic birch veneers in a hazelnut finish, you will love the rustic twist on this modern piece. 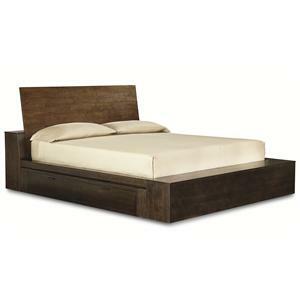 This platform bed will make the perfect finishing touch to your bedroom décor. 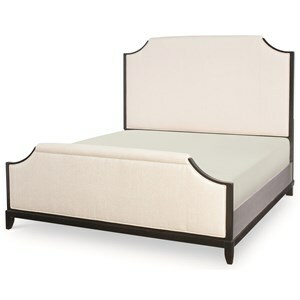 A fully upholstered headboard and footboard bring comfort and sophistication to this staple bedroom piece. The neutral cream colored upholstery, paired with the contrasting black trim, generates the perfect look that effortlessly blends with the design style of any room. 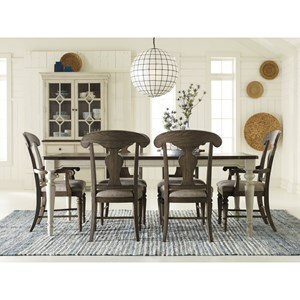 Gather family and friends around this seven piece farmhouse-style table and chair set for a warm and welcoming dining experience. The two-tone look and beautifully turned legs of the table highlight classic cottage style, while one included leaf allows you to extend the table length for extra seating and serving space. Perfect for any dining occasion, the splat back chairs exude relaxed elegance. The classic splat back highlights traditional shaping and detailing, further emphasized by the beautiful turned legs. 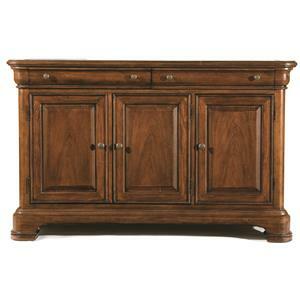 This absolutely flawless piece will look excellent in your dining room. The two drawer credenza with marble top features a silver tray in the left drawer for he storage of your best silverware. The two left doors open to large cabinets with a removable wine rack or an adjustable shelf, allowing you to create the storage space you need for your home. Behind the right door there is another adjustable shelf for your dinnerware. For kids' bedroom, Legacy Classic Kids offers the best of today's youth-bedroom styles for the young and young at heart with the same commitment to style and quality craftsmanship.